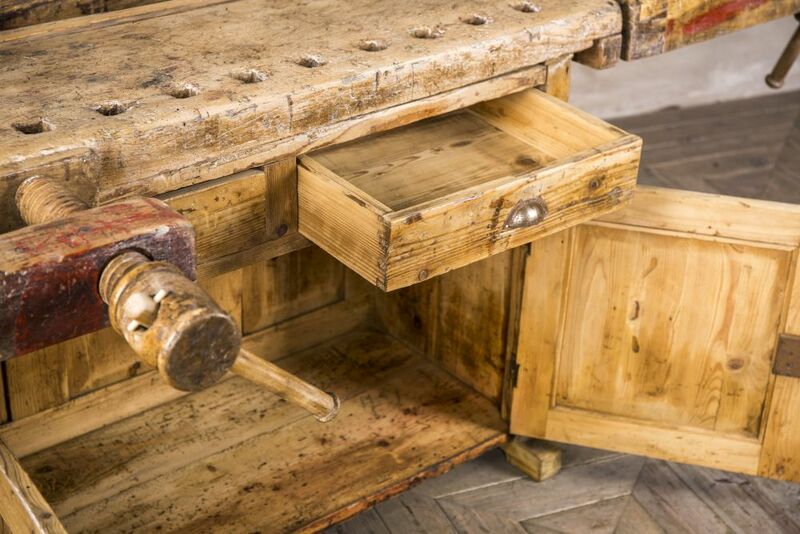 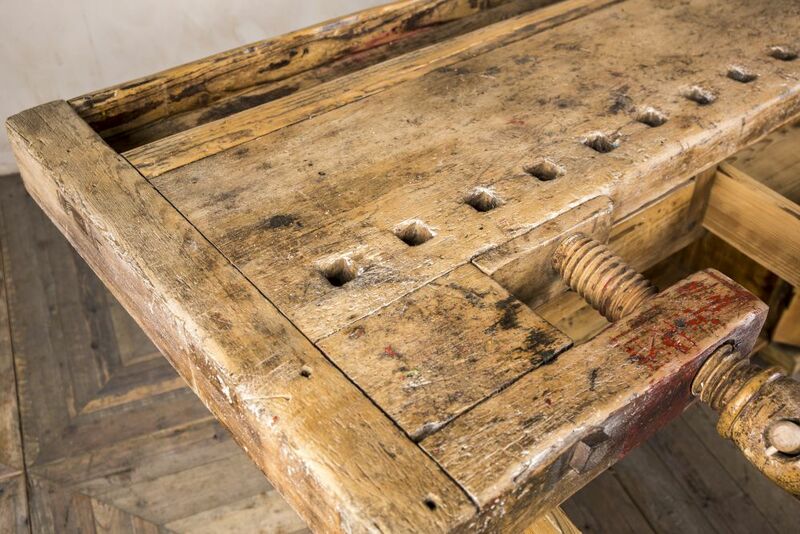 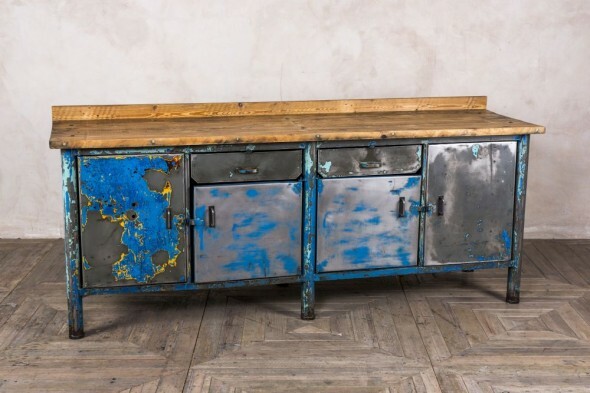 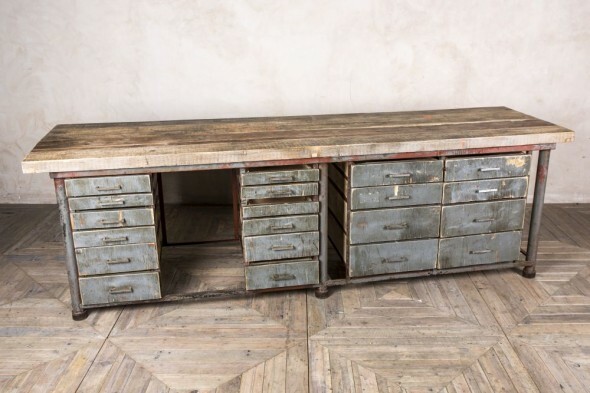 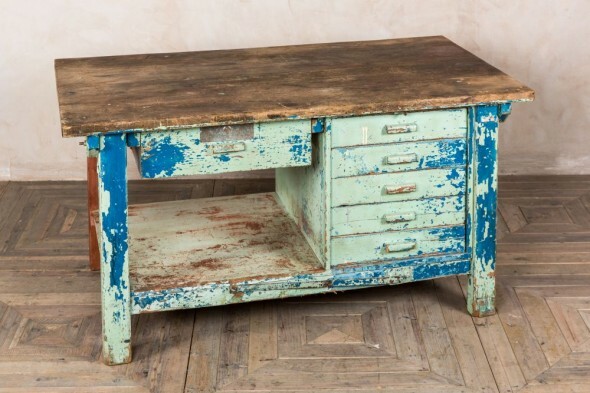 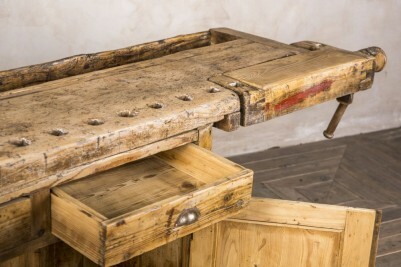 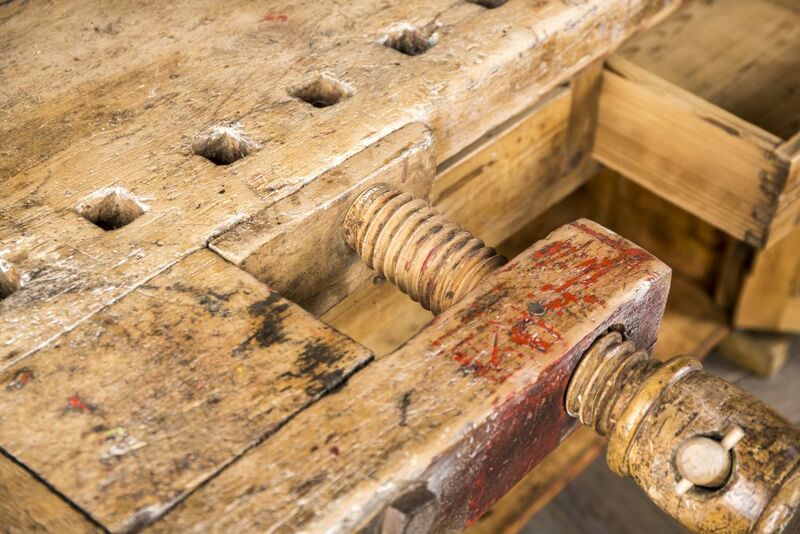 Use this vintage carpenter’s workbench as a quirky sideboard or kitchen island in your home. 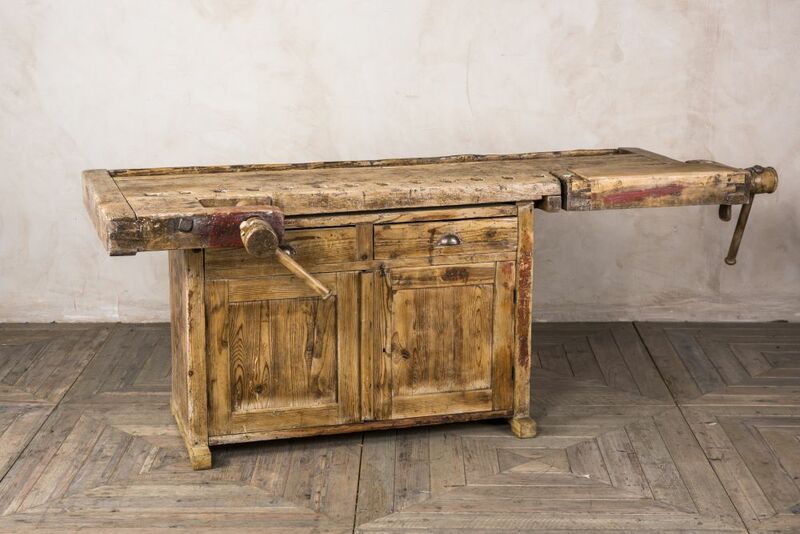 The gnarled wood and clamps give this unit plenty of character that would be perfect for an industrial or rustic style interior. 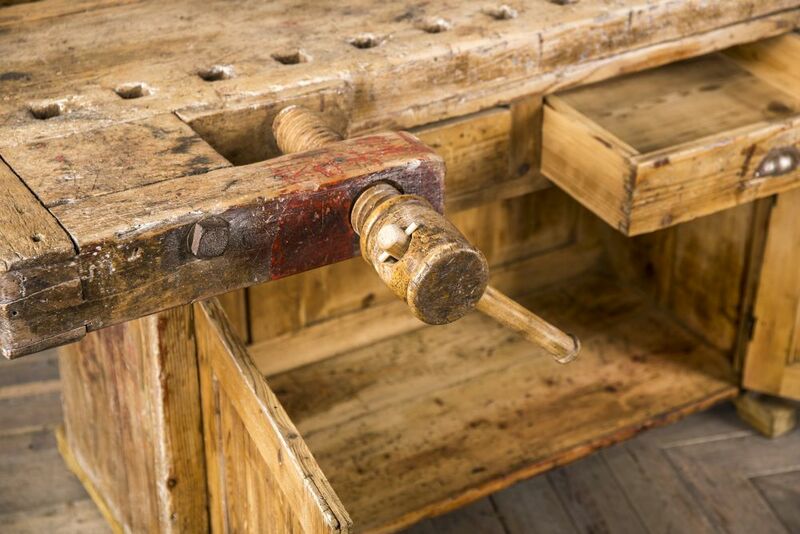 The workbench also offers ample storage, with a large cupboard and two drawers. 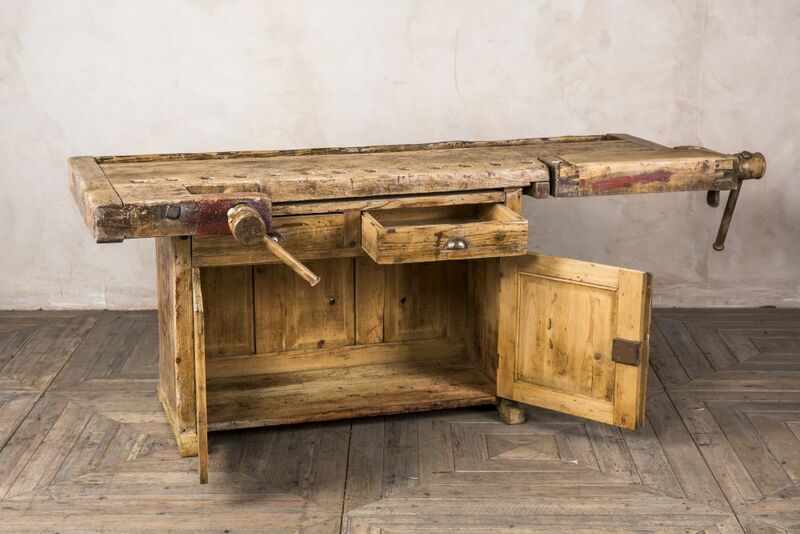 As an alternative to domestic use, the workbench could be used in a bar, pub, or restaurant. 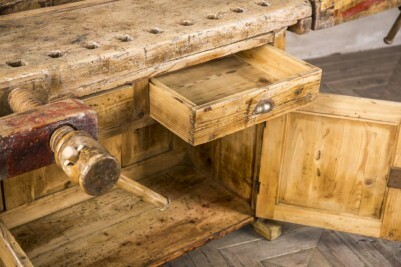 The cupboard space would be the ideal place to store menus, napkins, and condiments.